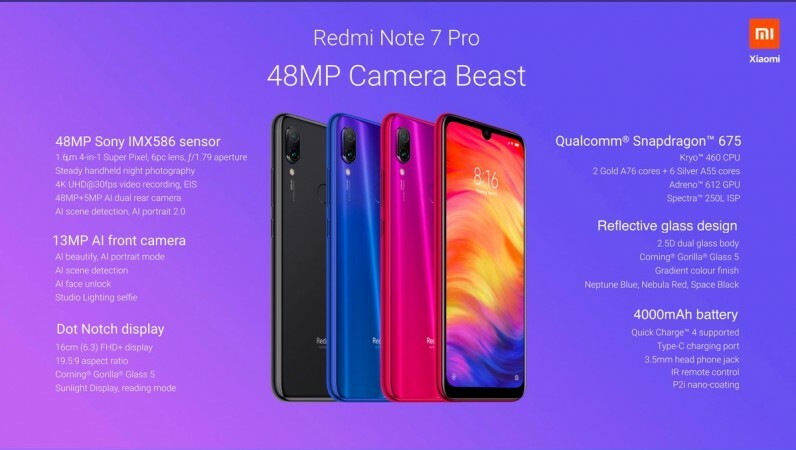 Realme 3 Pro poses an imminent threat to Xiaomi Redmi Note 7 Pro as the company CEO confirmed the launch of the new smartphone this month. Is Redmi Note 7 the new-age Nokia 3310? Xiaomi Redmi Note 7 Pro is widely praised and offers great value-for-money in its range. It may be a no-brainer choice for most shoppers looking for a solid smartphone under Rs 20,000. But the competition in India doesn't allow a single brand to dominate the headlines and remain under the spotlight for long. That said, a new smartphone is already in the making, which presents a tough challenge to Xiaomi. Realme 3 Pro has been making an on-and-off appearance through leaks and rumours, but its arrival is imminent. The company has already confirmed that it will be launching the Realme 3 Pro in India this month, and the leaked features of the upcoming phone suggest it is going to be a tough choice for consumers between Redmi Note 7 Pro and Realme 3 Pro. 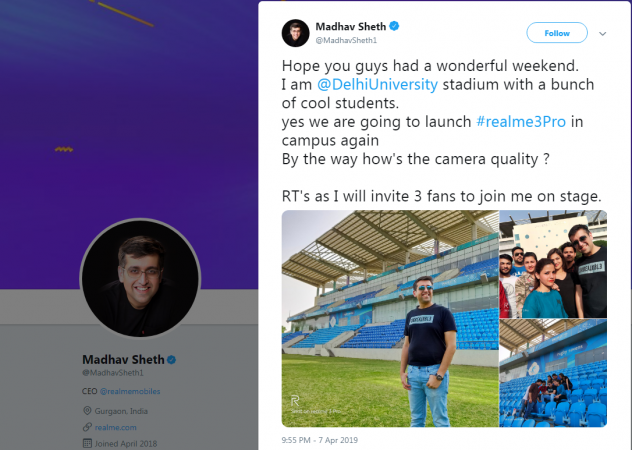 Realme CEO Madhav Sheth shared some photo samples on Twitter supposedly taken from the Realme 3 Pro. The colour balance, dynamic range and exposure look great, but all three shots have been taken under good lighting condition so it's hard to judge the overall camera based on a few samples. But there's little room to doubt Realme 3 Pro's camera as it is also expected to feature a 48MP Sony IMX519 rear-facing camera. While more details on the phone's optics are awaited, other key features of the Realme 3 Pro have already been ousted through leaks. Furthermore, Realme 3 Pro is said to come with Qualcomm Snapdragon 710 chipset, 4GB/6GB RAM options and 32GB/64GB storage models. To put things in perspective, the chipset on the Redmi Note 7 Pro is a Snapdragon 675 even though the RAM and storage options are the same as the upcoming Realme phone. But that's not the biggest upgrade buyers will see in the Realme 3 Pro. According to reports, Realme could borrow Oppo's VOOC 3.0 fast charging technology and integrate into its upcoming Realme 3 Pro smartphone, which can charge 0-75 percent battery in less than 30 minutes. This is an incredible selling point for Realme if the rumour turns out to be true. If you've planned to buy Redmi Note 7 Pro, we suggest you wait for the Realme 3 Pro's launch before making the final decision.